Each year the hype surrounding the Medicare Open Enrollment Period for Medicare Advantage and Part D seems to get amplified. Your mail box is full of solicitations, it seems like most TV commercials are about changing Medicare plans and your favorite retail stores are staffed with desperate looking insurance agents just looking for an opportunity to speak with you. Forget the hype… take a deep breath and consider changing Medicare plans on your own terms. Reacting to the direct mail solicitations, the TV ads and the desperate agent at the local Walmart may not reveal all of your Medicare plan choices. Your first step is to find all available plans in your area. 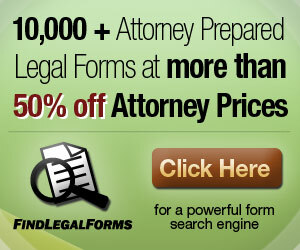 There are likely several plans not represented in the TV commercials and direct mail solicitations. To locate all available Medicare Advantage and Part D plans visit medicare.gov and choose, “Compare Drug and Health Plans” on the home page. Follow the on screen prompts to locate plans. 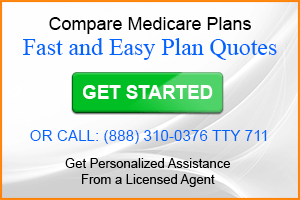 The plan results on the Medicare website include a top level overview of each plan. The type of plan, the premium, and the star rating is included. I recommend digging a little deeper before you enroll. Your second step is to get more detailed information on any plans that seem to meet your needs from the brief overview you received on the Medicare website. To learn more about each plan it will be necessary to visit each plan’s website. You will generally need to enter your zip code and follow the on screen prompts to get the detailed information necessary to narrow your choice. Your third step is to locate the pertinent documents that will help you in your quest to find the best Medicare plan for your situation. These documents will all be available on each plan’s website. Your fourth step is the enrollment process itself. The Open Enrollment Period for Medicare Advantage and Part D plans begins October 15th and ends December 7th unless you are entitled to a Special Enrollment Period. Are There Free Medicare Plans? It’s important to note that the last application submitted during the enrollment period will be the for the plan that becomes effective January 1st. 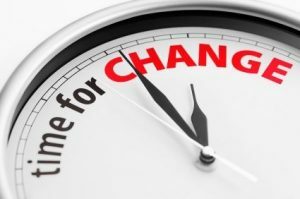 So if in your haste to change a Medicare Advantage or Part D plan you choose a plan but later find one that is more suitable, submit a second application. Following these four easy steps will result in a stress-free experience when changing Medicare plans and give you the confidence that you thoroughly researched all of your options. if you have enrolled in AARP medicare supplement plan F and a AArp part d supplement plan and because your ins has been notified that you have a part D change and they cancell your existing ins plan tha leaves you uninsured until application is processed. how long does that take if you mailed in your payment with application? Vickie, That is not an easy question to answer. Speak with your agent or call the customer service department to get more specific information. Are employee plans better than Medigap plans or is the coverage the same. I tried to get an answer from my employer but to no avail. David, I am disabled (under 55) & have had Medicare A&B for 10 years. However, my primary insurance has been thru my husband. Now divorcedI opted for COBRA, costing $510/month, including prescription and dental. which wud cost far less. I live in New Jersey, but have one particular doctor in New York. Must I give up this doctor? Also, do any offer dental ? Ally, When you have a Medigap policy you can choose any doctor that accepts Medicare. A Medigap policy fills in the gaps (your share of expense) for Medicare covered benefits. Very little dental is covered by Medicare. You could purchase a stand-alone dental plan and still come out better than the $510 you are now paying. Here is more information on what dental Medicare will cover.